Years ago our father pledged his heart to the south-western part of the Algarve, especially to the Monchique Mountains, the most fertile and green part of the Algarve. Twenty years ago his eye fell on a architect-designed house at the foot of the Monchique Mountains, near the spa town of Caldas de Monchique. The house was in a very bad shape and has been thoroughly and lovingly renovated, resulting in a unique and luxurious holiday villa. Villa Foz do Banho, a place where we have spent many nice holidays with family and friends. Villa Foz do Banho accommodates 8 people and with its beautifully designed flower gardens, ponds and private swimming pool, it is an oasis of peace and luxury. When the family expanded with partners and grandchildren, Foz do Banho became too small for family meetings. The time was right for a bigger house. The land on which Villa Foz do Banho is situated is 5 hectares big, and our father decided that a villa built in Portuguese traditional style should be added. The goal was that, just like Foz do Banho, it would become a nice warm place where you can enjoy a fantastic time together. In 2005 construction of the ‘red’ house was started. It was finished two years later. The result was a beautiful house, Villa Ribeira do Banho, that can accommodate 14 people, designed with great attention to detail and like Villa Foz do Banho, located in a beautiful green setting, flowered gardens, ponds and swimming pool. 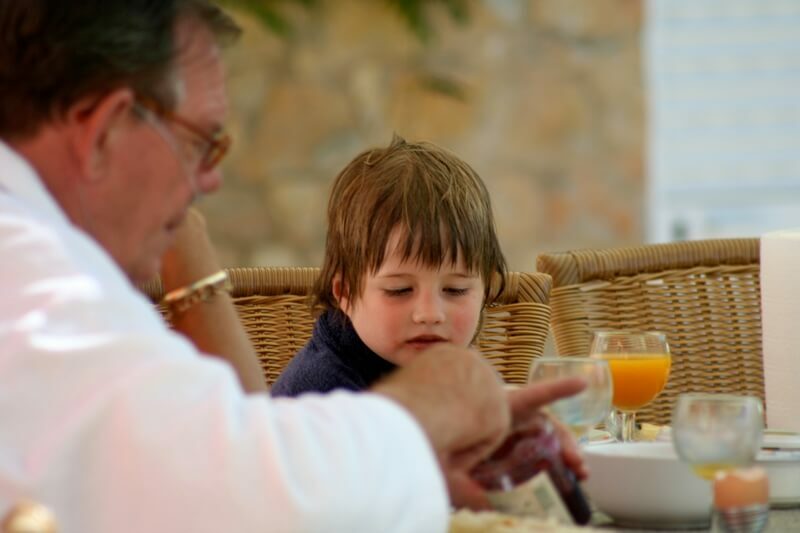 A holiday paradise that offers space to grandparents, parents, children and grandchildren. For the maintanance of the houses we are lucky to have Mr. Abel, our dedicated location manager. 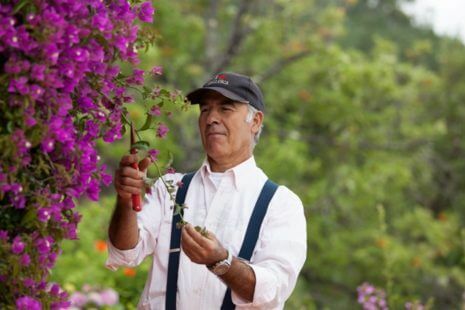 For many, many years, he is the one that takes care of the houses, making sure that both houses and gardens are in perfect condition. Because of the location in the mountains between the exuberant green, both houses offer complete privacy and are the perfect place to spend a wonderful holiday in peace. Due to its location both Villa Foz do Banho and Villa Ribeira do Banho are the ideal starting point to discover the beautiful nature, beaches and picturesque coastal towns in the western Algarve. We hope that you, just like our family, will enjoy nice holidays in one of our houses and return home full of beautiful memories.